I like little squids and I can not lie. After arriving Hua Hin, I enjoyed a lot of squid caught by the local fishing fleet until finding out how much cholesterol it had. 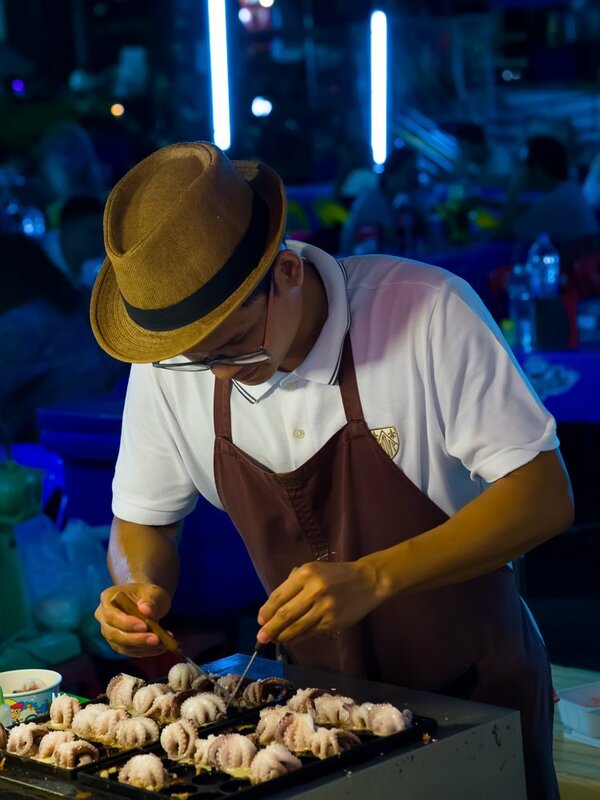 excellent phot of these baby squids being arranged by the chef. Not my favourite food though. @helenhall Thanks. You're not alone. Most of the expats I know won't even try it.